With a 'front row, dress circle' location on the hill overlooking the Historic village of Russell Villa Six is the perfect destination for your holiday. 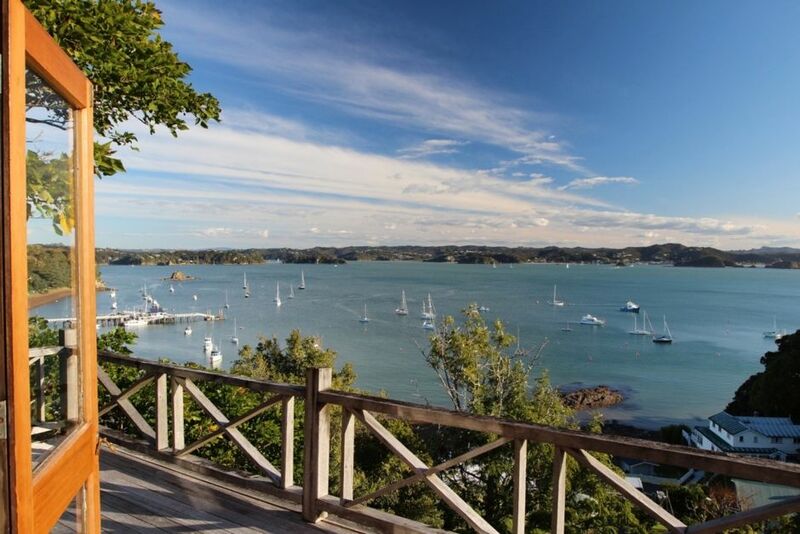 Sit back on the deck and enjoy the ever changing panorama or take a short stroll and explore the charm and history of Russell, Kororareka. Take a swim at Long Beach or enjoy a coffee and the waterfront atmosphere in the village and maybe take in a Bay of Islands water excursion or catch a fish. Great decks and indoor outdoor living, that just cries out for the Barbeque to be used and the sunsets enjoyed over a glass of wine. Main entry level included kitchen, dining and lounge in open plan design, plus 1 twin bedroom and 1 double with french doors opening onto the side deck. Includes the bathroom on this level also. The mezzanine floor accommodates the 3rd double bedroom. *Please note the the property is not suitable for children under the age of 10 years. The property is not suitable for children under the age of 10 years. Superb views and easy walk to town. We LOVED the location and the property. We LOVED the location and the property. Terrific views of the harbour. Short walking distance to restaurants, beaches and shops. We would highly recommend.